Post Oak East Apartments is a thoughtfully designed apartment community in Euless, Texas. Beautifully landscaped grounds, a variety of incredible amenities, and stunning designs define our distinctive apartment living experience. Our community is tailored to fit your demands for luxury, comfort, convenience, and style. Your new apartment home features a spacious floor plan, a well-equipped kitchen, and expansive walk-in closets. Our community amenities are just as impressive: unwind beside our sparkling swimming pool, recharge you batteries in our exclusive fitness center, finish up some work over the weekend from our professional business center, or schedule play dates in our children's playground area. Enjoy life comfortably in the Hurst-Euless-Bedford area, and schedule your personalized tour of Post Oak Apartments with our friendly leasing team today! 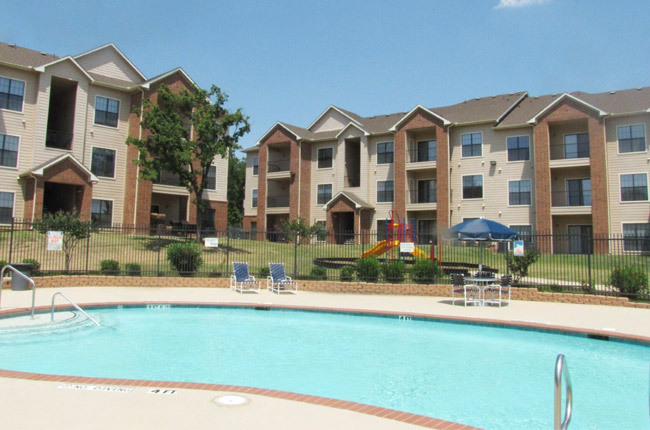 Conveniently located on Post Oak Boulevard, the appropriately named Post Oak East Apartments provide our residents with a central location in Euless, Texas. We are a short drive away from popular attractions including the Euless Public Library, Heritage Park, and the Texas Star Golf Course. Looking to cook a delicious meal after a busy day of recreation? Post Oak East Apartments features close proximity to Homeland Market, Bombay Grocery Plus Meat, and Hall's Grocery for all of your food shopping needs. If you prefer to dine out, the area features every type of cuisine imaginable. Best of all, Post Oak East Apartments is minutes from the Dallas/Fort Worth International Airport, making life just a little easier for frequent travelers and hard-working professionals. For convenient living right outside of Fort Worth and Dallas, we invite you to make Post Oak East Apartments your new home.